Well…the ultimate “it’s never gonna happen” has happened…Donald Trump is officially the 45th President of the United States of America. For some, this is a time of great rejoice. For others…not so much. Regardless of which side one finds themselves on, life goes on. While I am leery about what the future brings, I am happy that this moment has finally come. Lately, it seems people have been divided into two camps…those bitching and moaning about Donald Trump winning the presidency and those bitching and moaning about those bitching and moaning about Donald Trump winning the presidency. Both camps are equally annoying (often ignorant)…emotionally draining…and in the end did nothing to change the outcome of what procedurally ensured was going to happen. I didn’t watch the inauguration. Certainly not out of protest. That whole movement to boycott the inauguration was both silly and absurd (spoiler alert, even if you boycotted the inauguration…Donald Trump was still sworn in as President). My reason for not watching was simple. The inauguration is nothing more than pomp and circumstance, driven by rhetoric. Another opportunity for President Trump to tell us what he’s going to do. Been there, done that…heard it. I’m tired of rhetoric and talk…now is the time for action. It remains to be seen what that action will be. We’ve heard a lot of promises. If history is any indication though, President Trump will be hard pressed to achieve even a minority of those promises. Certainly, his odds are better with a GOP dominated Congress. However, even that is questionable. It’s no secret that Donald Trump is not a “real” Republican. In addition, we’ve already seen the Grand Obstructionist Party’s inability to lead even when the opportunity is handed to them on a silver platter. Which only serves to make the future that much more uncertain. The infamous “they” said Donald Trump would never be taken seriously. Yet he was. “They” said the Republican Party would never accept him as one of their candidates. Yet they did (granted begrudgingly). “They” said Donald Trump would never beat the likes of Bush…Rubio…or my favorite story teller (ha! )…Ted “Green Eggs and Ham” Cruz. Yet he did. “They” said Donald Trump would never win the Republican Party nomination. Yet he did. “They” said there’s no way he’s going to beat Hillary Clinton”. But he did. “They” said Donald Trump will never be President of the United States of America. Yet he is. 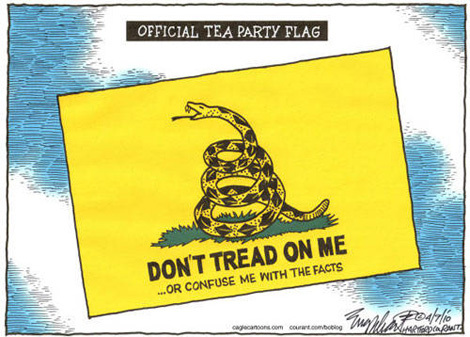 Now that Mitt Romney has been chosen to represent the GOP (aka Republican Tea Party) in the upcoming 2012 presidential elections, it’s only a matter of time before the political rhetoric and mudslinging begins in earnest. Based on the past, it can be asserted with reasonable accuracy that some candidates will attempt to affirm the righteousness of their ideals in part by invoking the intent of this nation’s Forefathers. In doing so, the United States Constitution will more than likely serve as the benchmark in determining our Forefather’s intentions, as well as ammunition for advancing the ideals of today’s candidates. 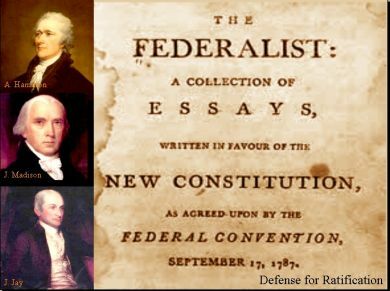 The Federalist Papers, also known as The Federalist, is a collection of 85 essays penned by notable forefathers Alexander Hamilton, James Madison, and John Jay. Writing under a common pen name of “Publius”, Hamilton, Madison, and Jay sought to present and champion to the general public the premise behind what would eventually become the United States Constitution. The first of these essays was rather unremarkably titled “General Introduction” (The Federalist Papers). In “General Introduction”, Alexander Hamilton highlights the deeper meaning and implication in adopting the “new” Constitution. Not only did the fate of the Union hinge on its ratification, the Constitution would determine “whether societies of men are really capable or not of establishing good government from reflection and choice, or whether they are forever destined to depend for their political constitutions on accident and force” (The Federalist Papers: Federalist No. 1). It’s reasonable to infer at this point Hamilton wanted all to understand the gravity of the situation. Not only would ratification of the Constitution ensure the continued existence of the Union in the short term, it would prove to the world this rule by the people “experiment” was legitimate and capable of standing the test of time. Hamilton also touched upon the morality of the situation, elaborating upon the interests of those opposing the Constitution. 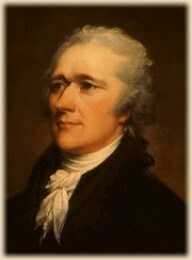 Hamilton specifically “called out” a “certain class of men in every State to resist all changes which may hazard a diminution of the power, emolument, and consequence of the offices they hold under the State establishments; and the perverted ambition of another class of men, who will either hope to aggrandize themselves by the confusions of their country, or will flatter themselves with fairer prospects of elevation from the subdivision of the empire into several partial confederacies than from its union under one government” (The Federalist Papers: Federalist No. 1). In elaborating upon this opposition, it can be asserted Hamilton highlighted the inherent danger of those that put their own personal good (and greed) before the good of their country. Some will argue that our Forefathers’ musings no longer have relevance in today’s day and age. However, one of the most amazing things about our Forefathers was their ability to understand the future. Not only did they make decisions based on the needs of their immediate situation, they recognized their decisions would impact a future of which they had no idea of. As a result, our Forefathers’ words still bear relevance today, perhaps more so than ever before. The concerns Hamilton expressed in “General Introduction” can be applied to the political “cluster-f*&k” this country finds itself in today. As our economy continues to stumble, we once again find ourselves having to prove to both ourselves and the world that we truly are capable of establishing a good government from reflection and choice. As today’s “leaders” in Washington continue to resist the changes necessary to ensure the future success of this country, the morality of these leaders is once again questioned. Personal, perverted agendas are being advanced which only serve to aggrandize and elevate today’s representatives at the expense of those they are supposed to be representing. If today’s candidates are going to affirm the righteousness of their ideals by invoking the intent of this nation’s Forefathers, they would be wise to gain a better understanding of that intent. As it stands now, it seems as if too few truly have this understanding. As a result, the misinformed attempts by today’s “leaders” at tapping into the visionary prowess of our Forefathers only serve to illustrate and magnify the hypocrisy and ignorance of today’s elected officials.